The Zojirushi BB-PAC20 Home Bakery Virtuoso Breadmaker is the latest model by the manufacturer recognized for their quality products. It’s available as a bundle deal but is it really worth the money? It’s not the cheapest on the market but if you want both simplicity and flexibility (not to mention a golden brown crust) then you’ll want to compare the list of features with other models. For several years, I worked at a bakery and came home smelling like it every day. You’d have thought I’d have become tired of that after awhile but there’s nothing quite like the smell of fresh, baked bread. The fact that we can make our own without the hassles and expense of using our full sized oven is simply a blessing these days. Now, to find the right tool for the job. As far as I can tell, there are three different options for buying this bread machine. The first is just to buy it by itself. The second is a bundle deal that comes with a 7″ serrated, bread knife that has a cushion grip handle and a bamboo cutting board. The third is another bundle alternative that comes with steel measuring spoons and an oven mitt. Today, the prices for each option are exactly the same – you can check all three here: Compare Bundle Prices. Considering that the price is the same even if you buy just the machine by itself, it makes sense to buy one of the bundle deals instead as you won’t be paying any extra. I don’t want to rehash all of the features on the Zojirushi because you can find those even on the box while you’re looking at it but I do want to point out those that are the most important or are not fully understood unless you’ve used it or gone through the manual. 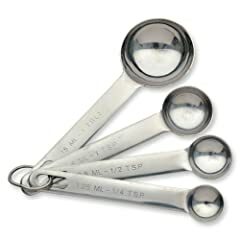 Menu settings – regular basic (active dry yeast), quick basic (rapid rise yeast), regular wheat, quick wheat , gluten free, regular dough, quick dough, jam (yes – you can even make jam with this! ), cake, sourdough starter. These settings cover all the different kinds of breads you might want to make from rolls to artisan breads to pizza dough. Max 13 hour delay timer in 10 minute increments for use with regular basic, regular wheat, and the home made settings. You can use the delay timer to program in the time of day you want the bread to be done (up to 13 hours in the future) and the bread maker will take care of when it should start in order to be done at that time. This is ideal when you know you have guests who are coming at a certain time or you’re planning a nice family breakfast and want your bread to be done just before everyone shows up. Why does it cost so much? In part it’s the fact that it has two kneading blades instead of one but a bigger contributing factor is the heating element in the lid. This was designed to address a challenge with other bread machines where the body of the bread is done but the top doesn’t look right or by the time your top is golden brown the inside is too dry. It provides a more consistent level of heating on all sides. You’re also paying for a machine that’s going to last, though. You’re easily going to pay around $100 for any bread maker with even a portion of the features in this one and if you make bread often, you may end up having to buy two or three to cover the span of time this one should last. In terms of cost per use, it’s likely you’re going to get much more from this one than a cheaper model. To make bread, you remove the baking pan that sits inside the unit. Pop the two kneading blades into the bottom of the pan (they’re removable because you don’t need them for some recipes and so that you can clean them separately). Put your ingredients in the baking pan, put the pan in the bread machine, set the control panel according to the instructions and you’re done. The Zojirushi Home Bakery Virtuoso takes care of the kneading, rising, and baking. The Gluten Free setting is a big bonus. I have two friends who have Celiac disease (can’t have flour) and one of them has a son who also can’t have flour. They have struggled to find a bread maker with this kind of setting for quite some time. Some of the non-loaf shaped breads (like rolls) are baked in a traditional oven and the machine is used just to make the dough. It’s like getting a stand mixer and bread maker in one in that respect. My overall review is that the added features like the heating in the lid, the extra paddle, and the overall flexibility to handle different kinds of dough and breads are big pluses. Customizing the three home made settings isn’t easy for the beginner bread maker and many folks may not even use them so it could seem like you’re paying for extra features that would benefit you only if you really got into making bread (but you might once you taste your first loaf of even the basic bread recipe). The price is a bit steep if you just look at what else is on the market but when you compare all the features, you really are getting a lot for your money and can do more with this particular model. I think it’s worth it when I add up just what I spend on bland tasting, store bought bread for my family. Check Out the Control Panel! Do you ever hesitate to buy something online because you can’t touch it? I do. That’s why I absolutely love videos. I just want to see someone put their hands on the product for me so I can get a feel for how it works. This is a video demo done by the manufacturer. Zojirushi has an earlier model that’s similar so I compared the two to see how they were different. The price on the older model, the Zojirushi BB-CEC20 is about $30 lower than the BB-PAC20. When the models are similar but have different prices, I want to know what I’m going to get for my extra money to decide if it’s worth it. I’m one of those coupon-clipper, comparison shoppers. It’s been ingrained in me from years of watching how my parents shop. They’re incredible money-managers. My in-laws are the same way so my husband and I – fortunately – get along very well in terms of how our money should be spent. This boils down to the fact that I first research something pretty carefully before I buy and then I look for the best price I can find. 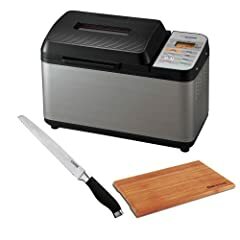 I use those price sites that show you who has things listed and for how much and was not surprised to find that even when it looked like someone had a better deal on the the Zojirushi BB-PAC20 Home Bakery Virtuoso Bread Maker, they really didn’t. Either the item referenced was used or it had a dent or it didn’t come with the deal bundles I mentioned above. There’s one retailer who sells on Amazon and who has packed this with a couple of different bundles (like the measuring cups and the oven mitt, for example) so you’re getting something more for your money. These bundles each look to be worth about $20-25 so it’s like getting almost 10% off of the price of the bread maker. I’ll always take an oven mitt but if I didn’t need the knife block I could still use it as a gift (it comes in its own box). These packages are all available on Amazon here: Compare Bundle Prices. I’d find the one that has the accessories you’d use the most and go with that set.